Home school is an amazing journey, for you and your children. Our first year of homeschooling was a lot like my first year of marriage; SO MUCH HARDER than I had expected, but also more rewarding than I had thought possible. Below are tips that helped me survive, and thrive, through our first year. Many of the tips include 'studying' because let's face it, when you homeschool you must be willing to learn new things right along with your kids. You are unique; therefore your homeschool room, organization, methods, and routines will also be unique. No homeschool looks the same, because no family looks the same. The fact that you are homeschooling testifies that you know your child should not be pushed into a one-size-fits-all-mold, so don't do it to yourself. 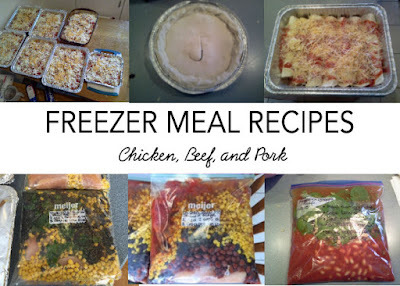 Sometimes I wonder how moms home-schooled before the resource of the Internet, yet I can also see how the temptation to compare can kill the confidence of a new homeschool mom. What are YOUR strengths and weaknesses? My strengths and weaknesses came into play as we picked curriculum (more on that below) and how we structure our day. I am not musical or mathematical, so we use a Math Curriculum that has a DVD teacher (Math U See) and an FREE online music curriculum. It also took me way too long to accept that I am not a morning person. Starting school at 8:00 a.m. like my teacher's manual suggested was just a bad idea for all involved. I also fought battles over silly things, like thinking we had to change into "real clothes" to start our day. I am not saying PJ's are are a must for homeschool, but they aren't a failure either. Do what works, and you mind need to tinker to see what you need; some moms even need to put on "real" clothes to feel like they started the day. Homeschooling Styles- What's the Flavor of your house? Many moms make the mistake of looking for curriculum before first spending a little time researching homeschool styles. Not many curriculums are purely one style, but knowing your personal bent can take hours off your curriculum search. See this post for 5 Homeschool Teaching Styles. We personally tend toward a mixture of Unit Studies and Charlotte Mason. That said, be prepared that your style will change as you homeschool! We recently had an unexpected season of unschooling due to medical reasons. Life changes all the time and our homeschool has to change alongside. My favorite book to learn homeschool styles is "First year of Homeschooling your child" by Linda Dobson because she not only describes different homeschool styles, but has a "Week in the Life" of seven different homeschooling moms. I re-read this book EVERY YEAR for the first FOUR years of homeschooling!!!! Your teacher's manual is not god. If that is the only thing you take from this post, please remember it! I have IDENTICAL TWINS who were reading and writing at very different times, if that doesn't teach you ALL kids learn differently, I don't know what will. Just because your teacher's manual says they should be able to write that sentence that week doesn't mean your child is ready to write that sentence. It is OK to stay on a Math concept for two weeks, even though your manual says they should learn it in two days. When you get "stuck" try to count it as a blessing because if your child was in public school, they would not be "stuck", they would be "left behind". I personally love our curriculum , My Father's World, because it combines a few different learning styles that fit our family. That said, we ignore one third of what is in the manual because it just doesn't "fit" where we are, or that need is met elsewhere (like AWANA or Co-op). PLEASE REMEMBER to study your kids, not the kids of the other homeschool families. For example, one my favorite homeschool families starts kindergarten at 4 years old. I almost gave into the pressure of comparison, but I knew in my heart my kids needed another year of playing and low-key preschool. We started very slowly when the boys were five. To be honest, we all needed that extra year of preschool. Many moms I meet say 'I am not not (insert patient, smart, organized, etc) to homeschool!" Well guess, what, I am not either! I NEED HELP. I can use mt strengths, but the community of homeschoolers can come around me and help me with my weaknesses! Like any other rewarding, yet challenging, journey in life, you will need support!!! Seeking out like-minded families in your area will truly make your first year immeasurably better. It is OK to not be OK sometimes, and you need to know that others are right there will you. HOMESCHOOLING IS A LIFESTYLE, and you need others to come along side you who share that lifestyle. Online support is easier than finding in-person support. That said, it is important you be brave, for your kids sake and for yours. Even introverts need the support of like-minded people in person every now and then. Use your online support groups and be brave; show up to field trips, organize play-dates, etc. where you know you will meet other homeschool families. When my kids were in preschool and I was getting hounded about Kindergarten round-up, I knew God was calling me to homeschool, but I did not grow up in area with many homeschooling families. This lack of exposure meant I harbored a lot of the common homeschooling misconceptions. It was life changing to walk into a room of homeschooling women at a Co-Op Open House and think, "Wow, they look like me!" I remember the freeing moment when I saw another mom had a nose-ring like me. It may sound superficial, but trust me, it is so important to meet like-minded families in person. Use your online support and ASK QUESTIONS about what is in your area, and if others will go with you! Most YMCA's in the country has some type of homeschool program. If you plan it, they will come! Ask families to the park or a local museum! 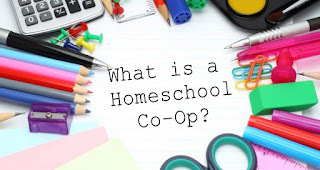 See this post to find out what exactly a Homeschool Co-op is. We have attended a few different types and sizes. We now attend a weekly co-op that meets once a week for 12 weeks each semester, it consists of 50 families. My kids can take classes I can not offer at home. As a former Preschool teacher, I teach the younger kids, while talented singers teach choir and the athletic-minded teach gym. SIDE NOTE- I am an extrovert who need to be around people to recharge, but not everyone wants to be out and about that much. If too much out and about drains you, then do not let the guilt of "socialization" make your schedule too busy. Still, I highly encourage you to find support in person with those who have the same lifestyle as you. Isolation can breed discouragement in you and your children..
Stay informed and do not rely on the public school to give you the right information, and seek support of those who have done it before you! The Home-school Legal Defense Association is best place to start. You can browse their website without becoming a member. Membership is highly encouraged, especially if you are in a state or school district that is not homeschool friendly, or if you have any problems transferring your kids out of public school. So many new moms stress themselves over how to inform the school, or what they need to keep to document. 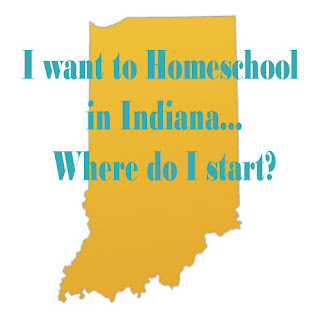 We are lucky in Indiana to have a homeschool friendly atmosphere, but even that depends on your district. Seek support, and you will do fine! Maybe this should be #1 tip. Homeschooling is HARD because PARENTING IS HARD! You will have days that are hard, and days that are great. You will work to find the balance between being a Mom and a Teacher. You will have kids cry over math, and then you will cry over math. You will rejoice with them when they make the swim team, and get frustrated with t hem when they can't read the word they read only TWO MINUTES BEFORE. But know these problems are not exclusive to homeschooling!!! Moms with Public School kids cry over math homework too. They loose their temper when their kids aren't ready for an event. I REPEAT, PARENTING IS HARD, but you as a homeschooling Mom get to be there for them in the moments they need you most. You get to show them the process of forgiveness by sometimes having to ask for forgiveness for losing you temper. Give yourself grace and seek support! You can do this! Good luck during your first year! May contain affiliate links. Doesn't cost you anything, I just receive a small portion on items you may purchase. Thanks! Great post, thank you! I'm finding myself paralyzed with fear about picking the wrong kindergarden curriculum and shoving us into a mold that doesn't fit. Meanwhile, my just-turned-five-year-old is starting to read, without us ever "officially" doing school, so I probably need to just chill! But wow, we HS moms so want to get it right, and help our kids love learning! You are not alone. Know that many of us have felt the same thing. The beauty of surrounding yourself with other veteran HS Moms is they can tell us how they went through several curriculums, and their kids survived!! !